Three Plus X Awards for Yuka • Poznań Marmite S.A.
We are pleased to inform that the jury of one of the world’s largest innovation contest for technology, sports and lifestyle, that honors manufacturers for their quality advantage, has given three Plus X Awards to shower tray Yuka. The jury appreciated Yuka in three different categories: High Quality, Design and Functionality. This is a remarkable achievement, which motivates us to continue to work on fulfilling the needs and expectations of our customers. 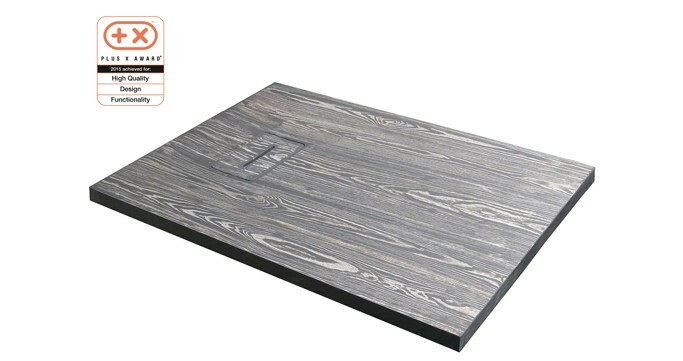 Yuka shower tray is fully designed and developed by our Design Team. The Plus X is one of the most important awards on German market, that is why it is such a special achievement for us.